Gardening & Landscaping across Suffolk and Essex | Greengrass Ltd.
From the moment we establish new contact with clients and throughout our working relationships, we work tirelessly to exceed customer expectations, delivering impeccable landscape and maintenance services time after time. 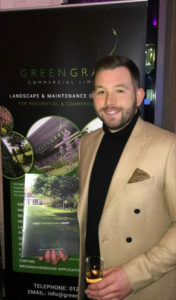 Our company has been in existence since 2008, when managing director, Nick Cheetham opted to form a team of landscaping professionals capable of working across all forms of residential and commercial landscaping throughout the Essex and Suffolk region. Since day one, we’ve been driven to deliver first-class, customer-focused service to all our residential and commercial landscaping clients. Throughout the last decade, our team has maintained this approach, going from strength-to-strength and becoming a well-established family-run business that prides itself on professionalism. Specialising in landscaping, ground maintenance and lawn care services, our highly-qualified team undertake all aspects of work to provide clients with a comprehensive, tailor-made service. We are comfortable undertaking any size premises and can offer an agreed annual maintenance program for both residential and commercial clients; with either weekly, fortnightly, monthly, bi-monthly or quarterly visits to suit the client’s needs. Our maintenance programmes ensure an all-year-round first-class presentation of grounds and premises. We’re proud to have a client list that boasts a broad spectrum including housing developers, Parish and County Councils, construction companies, estate agents, nursing homes, charitable organisations, landscape architects, industrial estates, manor houses, residential developments and commercial premises. We also offer a lawn treatment service that’s available to both residential and commercial clients on a pay-as-you-go basis. We specialise in lawn care and our services include scarification, lawn aeration, pest and disease management and total lawn renovations.  Our landscaping professionals can help you achieve lush, green and health lawns, guaranteed to make an impression on family, friends, clients and visitors alike. Our customers can receive four seasonal visits each year, with spring, early summer, late summer and autumn/winter treatments designed to ensure your lawns have the correct balance of nutrients 365 days of the year. At Greengrass Commercial Limited, we’ve worked hard to gain a reputation for high levels of customer satisfaction and quality management. We respect the wider environment and protect ourselves and the wider public by adhering to extremely high standards of Health and Safety, which is updated yearly by our Health and Safety consultant.